Picayune, Misissippi, is a progressive community located 35 miles northeast of New Orleans, Louisiana, or about 20 miles north of Slidell, Louisiana. Many of the recent inhabitants are from, and still work in, New Orleans, with the French Quarter being about a 1 hour drive on a normal day. 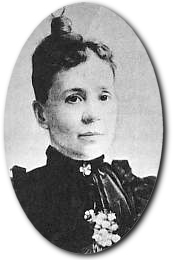 Pearl Rivers was the pen name of Eliza Jane Poitevent, a poet laureate of the South. She was born in 1849 in Pearlington, MS, which is about 25 miles southeast of Picayune. When she was 3, she went to live with an aunt near the community of Hobolochitto. Her mother's poor health had caused this move. In 1872, Miss Poitevent married Col. Alva Morris Holbrook, owner and publisher of The Picayune newspaper serving New Orleans. When he died in 1876, she became the first woman publisher of a major newspaper in the United States. Under her leadership, The Picayune prospered. She later married the paper's business manager, George Nicholson. When the railroad came through the community of Hobolochitto in the 1880s, citizens there asked her to select a new name for the town, so the story goes. She selected the name of her paper. Picayune, Mississippi, was born. It was probably the first town in the United States to be named after a newspaper.